GaryMoller.com - Health, Fitness - Naturally! : Is building the core muscles the best option for sacroiliac pain relief? Is building the core muscles the best option for sacroiliac pain relief? 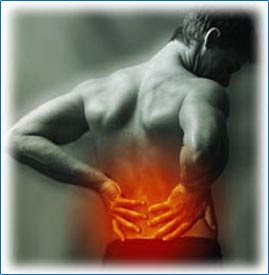 "I have been suffering from sacroiliac joint pain for over a year. Some times the pain is worse than others. Most recently I went to a Spine Therapy Center and received considerable relief from a few chiropractic maneuvers two doctors performed. A follow-up physical therapy consultation earlier this week included several core muscle-focused exercises, which I am doing twice a day and just about anytime I think about it (sitting at my office desk, etc.). The Physical Therapist said the adjustments the doctors and he made also would realign my spine and pelvis, but the core muscles must be built up again, particularly on my left side, where the joint pain persists. My muscles on that side are “inhibited” according to the therapist. My next PT visit is Monday morning. As a backup if the pain persists I am scheduled for an injection on Wednesday. I am naturally concerned about the injection (which prompted me to visit your site) and will probably cancel that appointment if the longer term risks appear to outweigh the benefits. My lifestyle -- I am a runner and continue to run four days a week (soft surface, 3-mile jogs – nothing too strenuous). Regime includes going to the gym two days a week for light weight resistance work. I want the pain to go away, but I don’t want the problems that could surface later, nor do I want the risk of diabetes, which is something I have heard is possible with such injections. Does the approach on building the core muscles seem the best option for relief?" Donna, while core conditioning is definitely the flavour of the month right now, I do not think it will do much at all for you. Neither will an injection. If it is a cortisone-based one, it may give temporary relief at the cost of lasting relief. That you are a runner (even "non-strenuous") says it all: The most likely cause of your ongoing pain is that various muscles, including your low back, gluteals, iliotibial band and more are probably in spasm. Traditional forms of PT, including manipulation may give temporary relief, as might medications and stretching. (I am making assumptions based on many years of working with runners and other athletes who run their bodies ragged). But you need to go much further than is offered by these treatments: You need to discover the underlying metabolic causes which may be due to a mineral imbalance, a depletion of a few key amino acids, fatty acids or a set of vitamins. Any of these will cause muscles and joints to lock up. Good nutrition begins with ensuring that your body tissue salts (minerals) is just right - not too much and not too little of each - and then ensuring that your body has adequate supplies of vitamins, fatty acids and amino acids in more or less that order. I suggest you begin your quest for pain-free health and vitality by completing the Active Elements Assessment. Take care when answering each question and make liberal use of the "Comments" section to give me plenty of background information. You will also benefit from seeing an experienced massage therapist who should spend the best part of an hour massaging each group of muscles that are found to be knotted and inflamed. This should commence about a week or so after you begin any nutritional interventions because, if you are nutritionally deficient in any way, the benefits of the massage will be compromised. One massage every 4-6 days for several sessions should see huge improvements if you get the nutrition side sorted.